After doing so many films, it must be difficult to work in new torture devices and twist and turns that we haven’t seen before. That’s more or less true here, as everything we see, is some iteration of something from a past film. You’d think that with seven years in between both films, there would be some spark of something fresh, but there really isn’t, as it’s business as usual. That being said, it’s a lot of fun to go through this barnyard of horrors that will keep you on the edge of your seat and yelling at the screen for characters to act quickly before they meet their nasty demise. 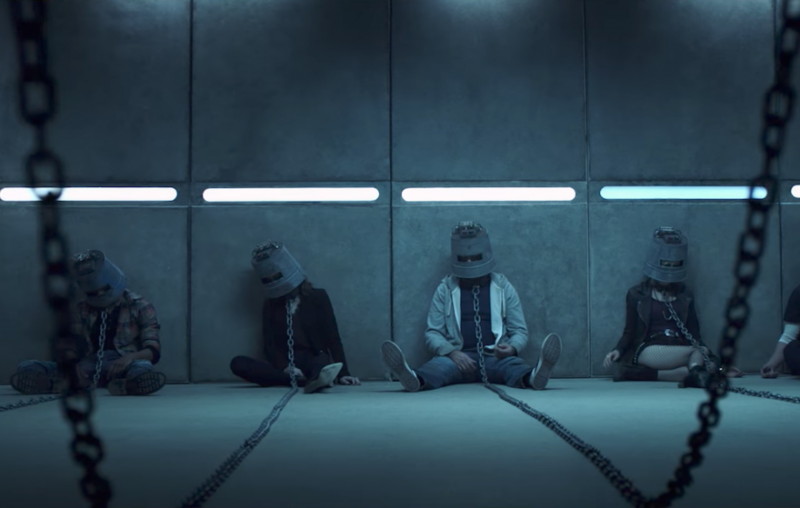 As we have it here with Jigsaw, there are five people trapped with chains around their neck as they inch towards running circular saws, which is just the start of their maze of death experiences. As this is going on, there are several dead bodies that show up in the city, with the iconic puzzle piece of flesh missing, which has two detectives trying to solve this mystery. They have the help of two forensic examiners that can tell what killed each victim. Like I said above, there is nothing new here that we haven’t seen before, but none-the-less is still fun to watch on screen. Like with each Saw movie, the score heats up as we get a big twist at the end that is supposed to blow us away. With Jigsaw, you can expect a big twist too, but it will leave you questioning about everything that happened beforehand. With the first film, the twist was thoroughly thought out and well executed, but here, it came across as lazy and rushed, and made you question every other aspect of the film. On the gore side, there is plenty of it with some excellent gooey practical effects of all muscles, bone, and guts. The suspense is at an all time high too, specifically in a scene where two victims are buried in chicken feed where tons of sharp objects begin to fall on top of them. I can feel the sweat starting to form even as I write about it. Tobin Bell is of course great in his role again, where everyone else pulls either the over-the-top card or a simplistic noir like performance. 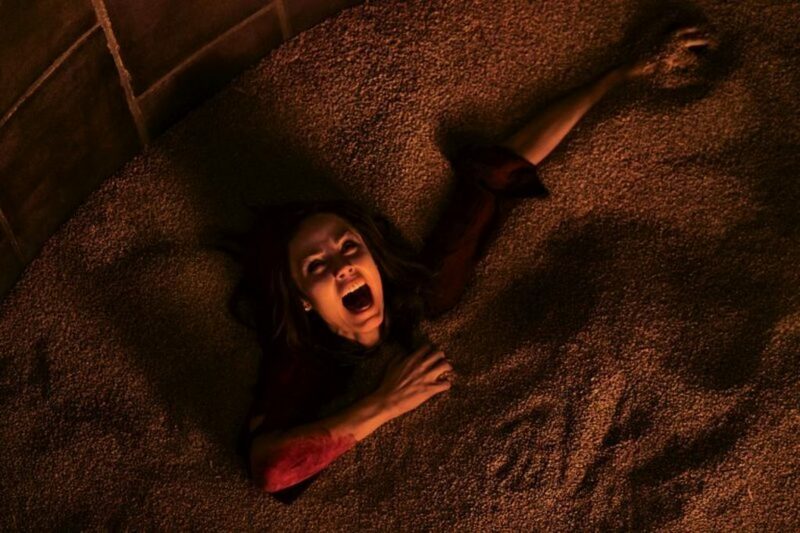 Jigsaw delivers in the suspense and gore department, but does nothing further. Sure there is some interesting history with John Cramer, which I have no doubt will play into future films, but it leads to nowhere. Fans of the franchise will certainly enjoy all of the nasty bits along with the return of Tobin Bell on screen. 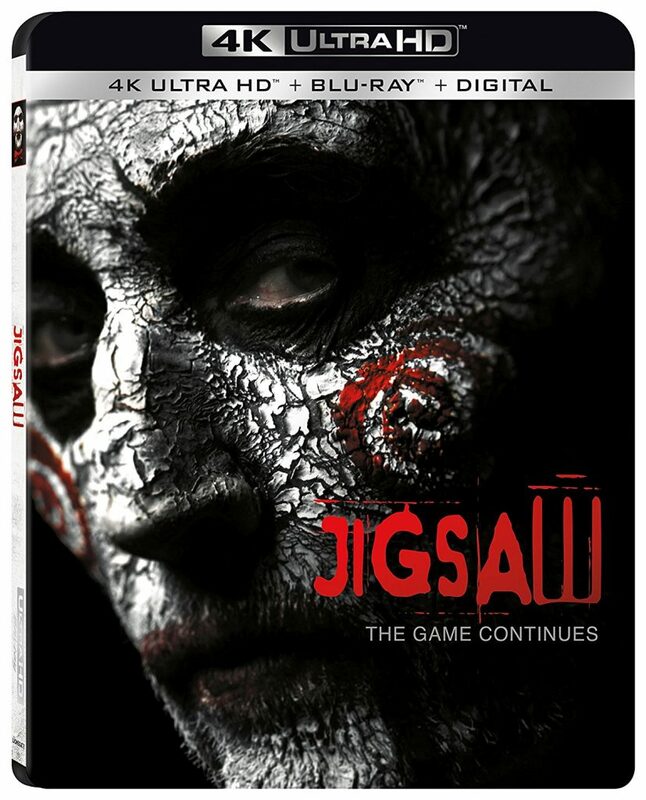 The Video: Jigsaw comes with a 2160p 4K UHD transfer and is presented in 2.40:1 aspect ratio. There is the option for Dolby Vision and HDR10 as well here for those who have capable televisions. Surprisingly, this is a fantastic looking image for a low budget horror film. There are two types of color palettes here, one of which is the usual cold dark rooms with blue and rusty green filters, where every character and device looks ominous. On the other hand, a lot of the film takes place in a giant barn where colors are much warmer here with browns, yellows, oranges, and reds that outline the barn, hay, and lighting. Even with these filters applied, the Dolby Vision really accentuates every distinct piece of wood and contraption greatly. The color differences between the skin tones and pieces of wood, as well as the lighting are all distinguishable and look excellent. The blood is always deep and rich red that always contrasts well with any other surface so that you can see the carnage in all its glory. In exterior scenes, the image is bright and normal with luscious greens in the trees, clear blue skies, and great brown and silvers to the buildings. When in the cooler color rooms, the silvers, grays, and blues are enhanced so that you can differentiate background stone walls, clothing, and other torture device very well. All of these visual colors only enhance the detail too, which is super fun for a movie as bloody as this. The detail will show all of the rusty, dented, and grimy torture devices from long ago, as well as the individual creases in certain twine that tears apart flesh. The wood splinters can be seen easily too as well as individual hairs on the actor’s faces and the creepy puppet. Even some of the CGI effects are incredibly detailed with some of the bloodier moments. Most effects are practical though with every single detail popping out nicely, especially the skin that gets torn up throughout the movie. Black levels are very deep and inky with zero crush or bleed out moments. There were no other visual ailments with this image, leaving it with a fantastic video presentation. The Audio: This release comes with a fantastic Dolby Atmos track that satisfies all areas of the soundscape. Sound effects are loud and very suspenseful with great directionality. All of the fast spinning circular saws sound deep and sharp, and when the cut through objects or flesh, you’ll be able to hear all of the gooey bits being ripped apart. Gunshots towards the beginning of the film are fluid and robust with the height speakers coming into play here. The height speakers also bring in that fun scene where the chicken feed falls from the ceiling as well as the sharp objects falling down on our characters. There were a couple of moments where I looked up to see if something was actually falling from the ceiling. Other sound effects of different torture devices, especially the big whirlwind tornadic cylinder device brings the bass and soundscape to an intense dynamic, which is magnificent. Other metal clanks of buckets and other metal instruments make the appropriate sounds. Ambient noises of city life or chains rattling all sound big and flow through the rear speakers nicely. The score is somewhat forgettable, with the exception of the final big twist and reveal where the strings come full force. Dialogue is always clear and easy to understand, and free of any pops, cracks, hiss, and shrills. This is was a great audio presentation. Audio Commentary – Producers Gregg Hoffman, Oren Koules, and Mark Burg deliver a decent commentary track as they talk about making the film. They are obviously big fans of the franchise and were excited to be a part of the new film. They talk about bringing back Tobin Bell, the new story line, casting, visual effects, the barn, and the gore. It’s a fun commentary track if you loved the film. I Speak For The Dead: The Legacy of Jigsaw Documentary (HD, 82 Mins.) – Content-wise, this is an in depth look at the making of the film with tons of cast and crew interviews, on-set footage, and behind the scenes that show us how certain scenes were done and what went into the story and characters, and score. Tobin Bell pops up too. 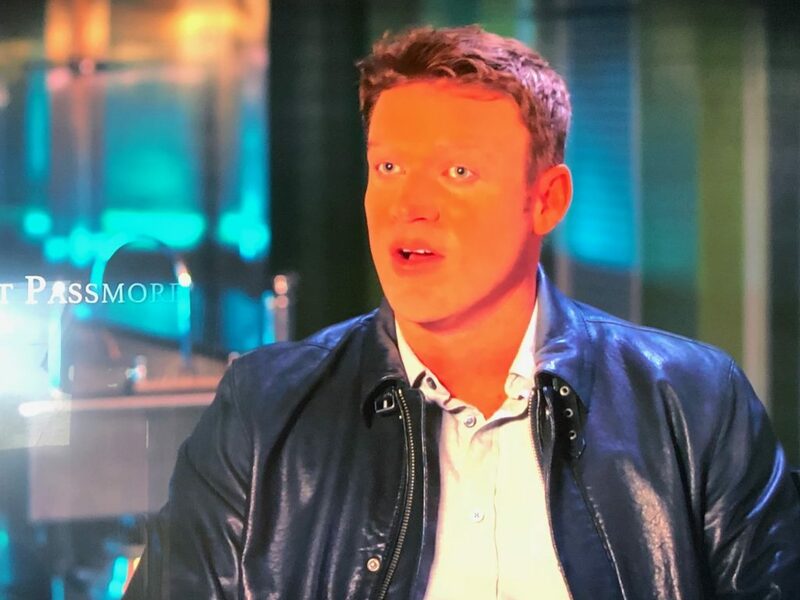 It’s a great bonus feature, BUT – the actual video presentation and image of the bonus feature is perhaps the worst I’ve ever seen. 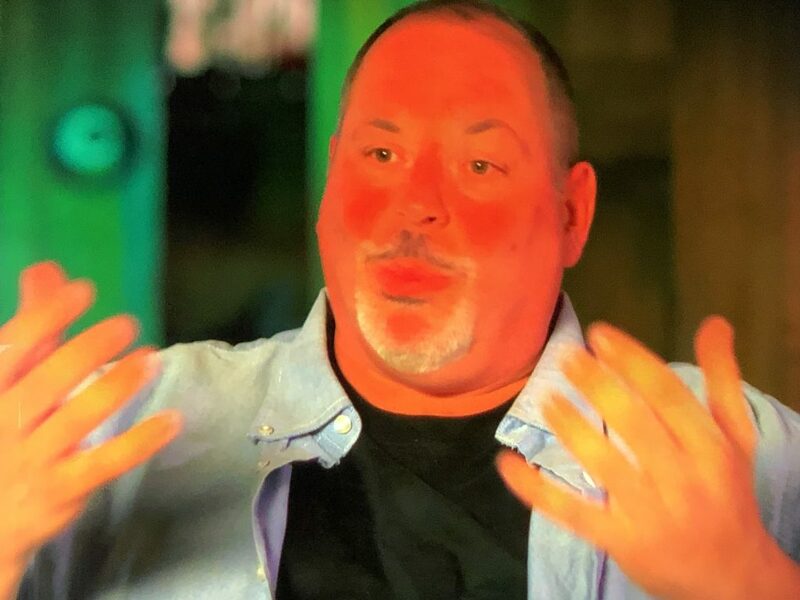 The talking head interviews look so bad that it actually looks like the people have no faces, but just the color of an orange peel and red delicious apple combined. It’s super distracting and for the most part ruins the entire bonus feature. The Choice is Yours: Exploring the Props (HD, 7 Mins.) – Not sure why this was left out of the above impressive bonus feature, but here we get a cool look at all the different devices, torture room, and aspects of how they were made here. Jigsaw is a fun return to the Saw franchise with tons of blood, guts, twists and turns, which might not make a whole lot of sense. Still, it’s fun to see the blood flow and Tobin Bell back as the villain here. The Dolby Vision and Dolby Atmos tracks and image are excellent and the bonus features cover a ton of ground, but it might be the worst looking video I’ve ever seen. All that being said, this 4K UHD release comes Recommended! This entry was posted on Tuesday, January 16th, 2018 at 6:21 pm	and is filed under Film, News. You can follow any responses to this entry through the RSS 2.0 feed. You can skip to the end and leave a response. Pinging is currently not allowed. « Love ‘Fear The Walking Dead’? Pick Up Season 3 on Blu-ray and Digital HD!! !